The person-centred approach is one of the most popular, enduring and respected approaches to psychotherapy and counselling. Person-Centred Therapy returns to its original formulations to define it as radically different from other self-oriented therapies. Examines the roots of person-centred thinking in existential, phenomenological and organismic philosophy. Locates the approach in the context of other approaches to psychotherapy and counselling. 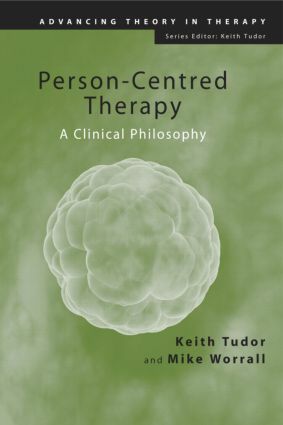 Shows how recent research in areas such as neuroscience support the philosophical premises of person-centred therapy. Challenges person-centred therapists to examine their practice in the light of the history and philosophical principles of the approach. Person-Centred Therapy offers new and exciting perspectives on the process and practice of therapy, and will encourage person-centred practitioners to think about their work in deeper and more sophisticated ways. Series Preface. Introduction. Philosophy. Organism. Tendencies. Self. Person. Alienation. Conditions. Process. Environment.